Rita Ora was spotted out in York 01/16/2019 wearing a Rochas suit. Mandy Moore, was in attendance at the premiere of Ralph Breaks the Internet held at El Capitan Theatre on Monday (November 5) in Los Angeles. 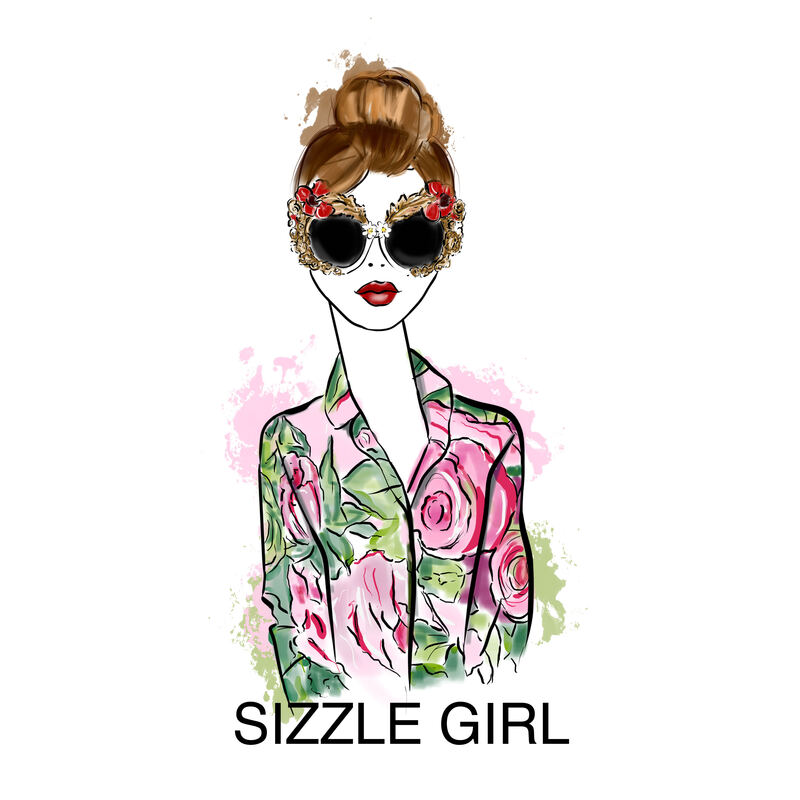 She is wearing a floral Rochas dress . 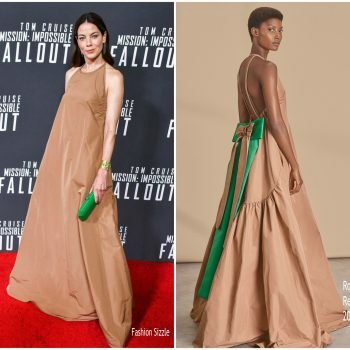 Melanie Laurent was in attendance at the ‘Operation Finale’ premiere on Thursday (August 16) in New York City. 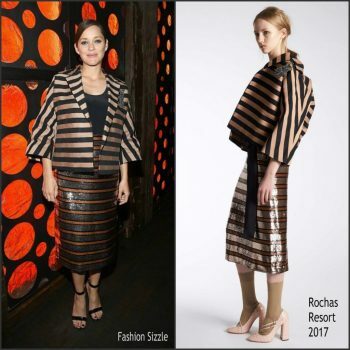 She wore a black Rocha. 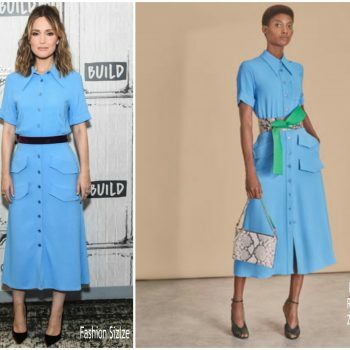 Rose Bryne stopped by Build Series on Wednesday (August 15) wearing a blue Rochas Resort 2019 dress styled with Chloe Gosselin’ Emma’ velvet pumps. 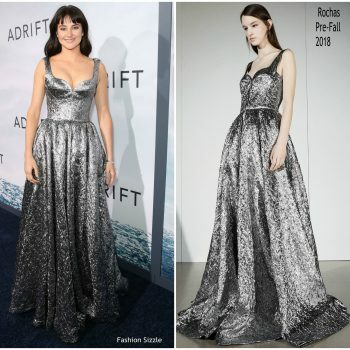 Shailene Woodley attended the premiere of her new movie Adrift on Wednesday (May 23) at Regal LA Live Stadium 14 in Los Angeles. 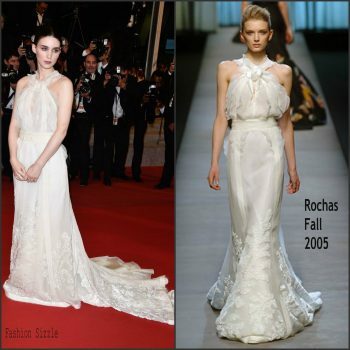 She is wearing a silver Rochas Pre Fall 2018 gown. 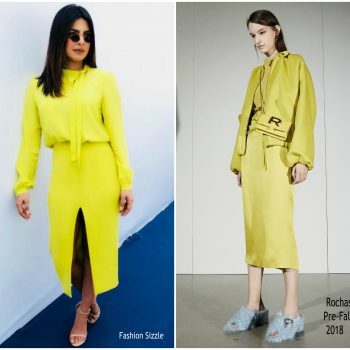 Priyanka Chopra was in attendance and spoke at the Global Education & Skills Forum (GESF) 2018. 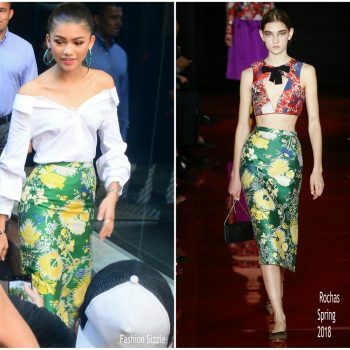 She is wearing a a bright lemon yellow Rochas Pre Fall 2018 dress styled withStuart Weitzman sandals. 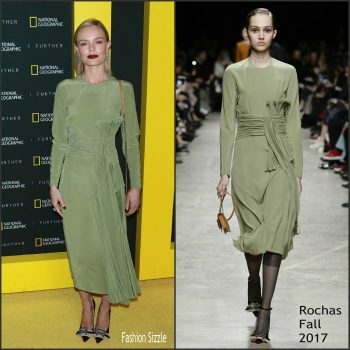 Kate Bosworth attended the 2017 National Geographic FURTHER FRONT event on Wednesday (April 19) in New York City. 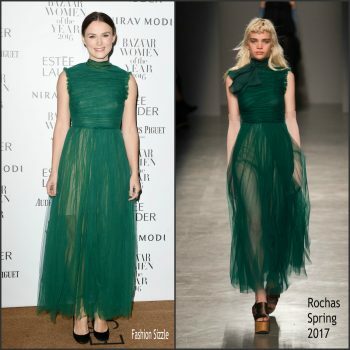 She wore a Rochas Fall 2017 dress. 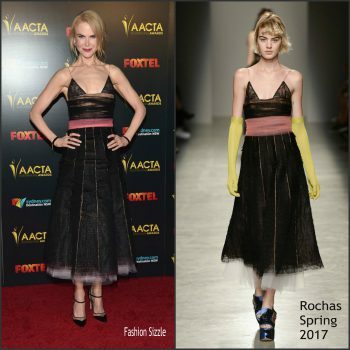 Nicole Kidman attended the 6th annual AACTA International Awards in LA. 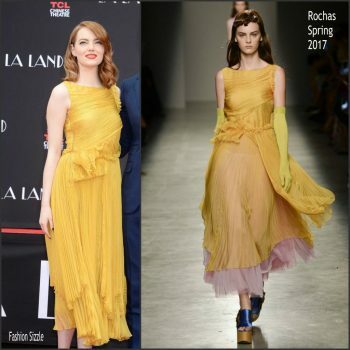 She wore a Rochas Spring 2017 dress .